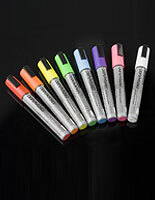 These Bright Neon Pens Have A 5/8” Broad Tip. 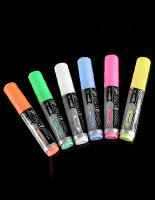 Fluorescent Markers Come in Vibrant Colors. 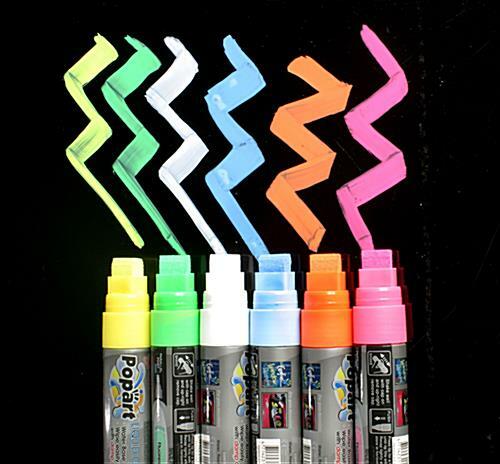 These neon pens for prize wheels are sold in sets of six. 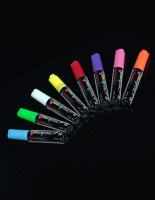 Each group of fluorescent markers comes with six different colors: yellow, green, blue, white, pink and orange. 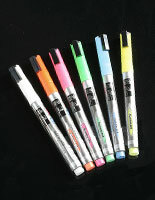 The neon pens with flat tips are great for big strokes and bold messages. 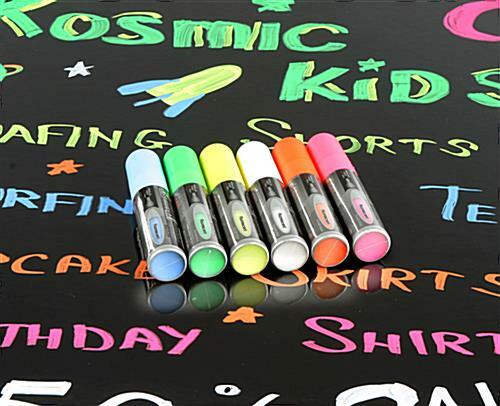 Liquid chalk is easy to clean up. 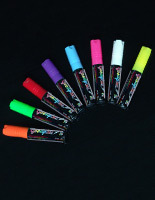 These neon pens for write-on prize wheel use are ideal for custom prizes. 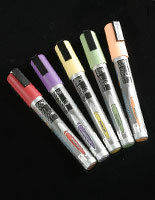 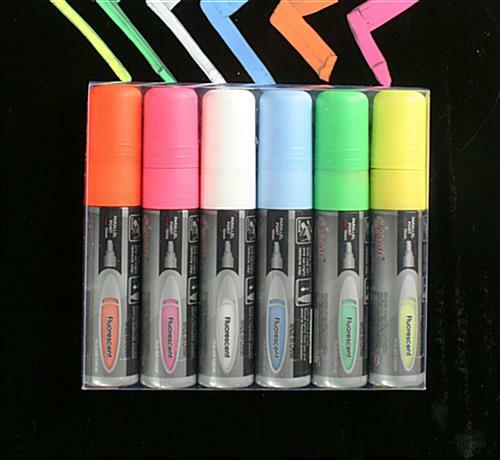 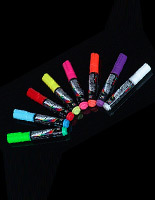 These wet erase markers can also be used in the class room or office.